Lead Radiographer Jeanette Snowden, from Derriford Hospital, talks about the impact of delivering a BIR accredited radiation protection course at Kitale Hospital, Kenya. There are many charitable organisations quietly delivering fantastic projects around the world with little fanfare. EGHO (Exploring Global Health Opportunities) and MEAK (Medical and Educational Aid to Kenya) work together to improve health in Kenya, focussing on trauma and orthopaedics, patient safety, hospital staff education and training, and community health. The aim is to teach and leave a legacy of education. 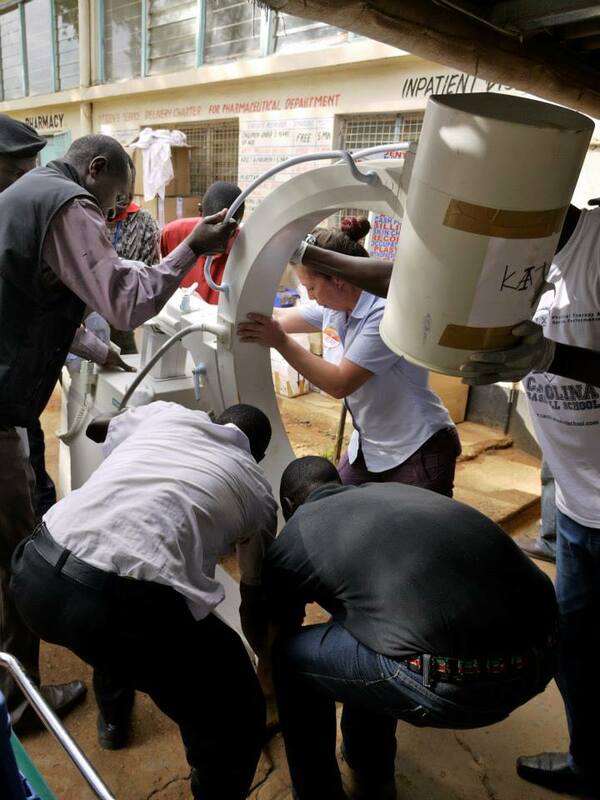 In April 2013 I was approached by EGHO, who wanted an imaging service delivered to theatres in Kitale District Hospital, West Kenya, which was new to the project. The hospital required an image intensifier (II) and an educational package, and the trip was planned for November 2013. My imaging department donated a II, which was collected and whisked into a container for its lengthy sea-bound journey within a week. The educational package required a bit of thought; I have been teaching radiation protection (RP) for a number of years to many professions, and I know it’s not the sexiest of subjects to teach– it does not have the attributes of, for example, ED trauma education, which can be dressed up with graphic photos and adrenaline. However, RP is essential training. Listening to the experiences of radiographers who had provided imaging back up on previous orthopaedic EGHO trips to other Kenyan hospitals, I realised there was little interest from the local radiographers to continue the theatre imaging service once the project had returned to the UK. The image intensifier remained dormant, restricting the scope of surgical procedures and directly affecting patient care. However, I discovered that accredited courses with a certificate are held in very high regard within the Kenyan working community. Engaging the local radiographers and the theatre staff in the safe use of the II and RP was essential to the delivery of the project, and I believed a certified course, accredited by the BIR, would be the key to its success. With the support of the Clinical and Radiation Physics department within my Trust, and Andy Rogers, Vice President (External Affairs) at BIR and Head of Medical Physics at Nottingham University Hospitals Trust, I wrote a RP course, to include a practical session for the radiographers, an exam, safety signage and the all-important certificates. Rather brilliantly, the BIR accredited it. The journey from the UK to Kitale took a slightly-longer-than-expected 36 hours, but the reception we received from the staff couldn’t have been more welcoming. The UK team arrived with over 30 cases of donated kit, and the staff set about finding storage in the fairly limited facilities. Nothing was too much trouble. The donated II had spent four months languishing on the docks in Mombasa awaiting Kenyan authorisation to travel to West Kenya, and to our relief was given the stamp of approval just after we arrived in Kitale. I spent a day travelling to collect it with a truck and a driver, and our return caused quite a stir – I had not known that this intensifier was only the second one in the whole of West Kenya – no one had seen one before, let alone know what it was capable of! Much to my amazement, given the journey it had just undertaken and how ‘temperamental’ they can be, the II worked the moment I switched it on. We were all set to go. I delivered the RP practical training over a few days, given the space restrictions of theatre, but the Powerpoint presentation was attentively received by 23 candidates (3 radiographers, 15 doctors and all of the theatre staff), all crammed into a tiny staff room at 8.30am. I tested their prior and post-course knowledge, and am happy to report that all candidates significantly improved their RP knowledge. Practical training occurred during operative sessions, where all staff complied with the signage, maintenance of Controlled (Restricted) Area, and wearing of PPE. And-the theatre Charge nurse adopted the responsibility of supervising the area after the team returned to the UK. I trained a senior radiographer, Mr Okumu, in the specific use of the image intensifier. I cannot over emphasise the delight with which the imaging equipment was received by the local staff, nor the impact that it has already had on patient care. 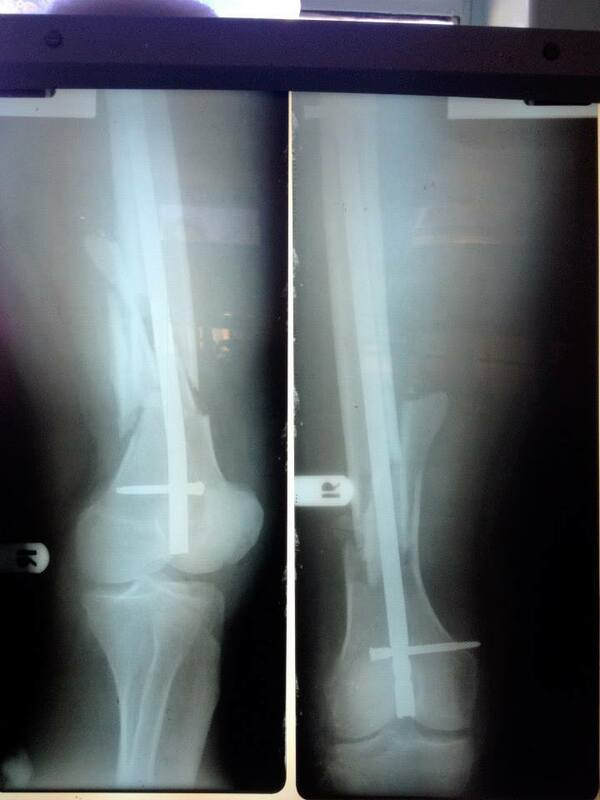 Franklin was one of our patients who had been on the orthopaedic ward in Kitale for over three months with a fractured femur, sustained during a motorbike road traffic collision. He had stones tied to his leg to act as traction. He told me he thought he was going to die in that bed. Using the II for guidance, the UK team were able to teach the local general surgeons how to implant a sign nail into Franklin’s badly-fractured femur. On our final ward round, we saw Franklin putting weight through his leg; a massive grin on his face, singing and high-fiving everyone in the team. He said we had saved his life. 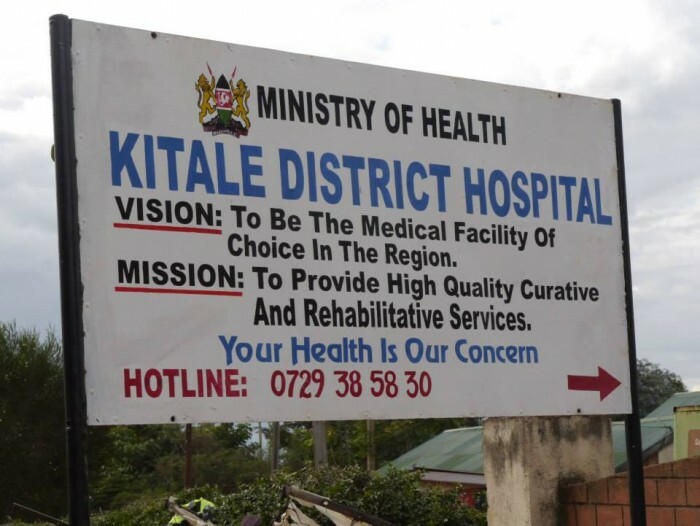 Kitale District Hospital now has an imaging service in theatre, delivered by local professionals who have completely engaged in education accredited by the BIR. Through this experience I have learnt a great deal, not least to truly appreciate, and not take for granted, the undeniable volume of work that has resulted in the high level of safety and the high quality healthcare system that we have in the UK. 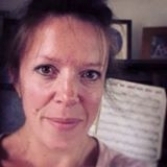 Jeanette is due to return to Kenya in April 2014. About Jeanette Snowden, Lead Radiographer for Theatre and Mobile Imaging at Derriford Hospital. I look after over 35 theatres and 40 wards, including 4 critical care wards, and I am RPS for the whole area. I teach radiation protection at both Plymouth and Exeter Universities, to the student radiographers and to all amenable staff at Derriford! I love my job, and believe that every quality improvement should have a direct impact on the care that we give to our patients. Posted on April 4, 2014 by birblog2013. 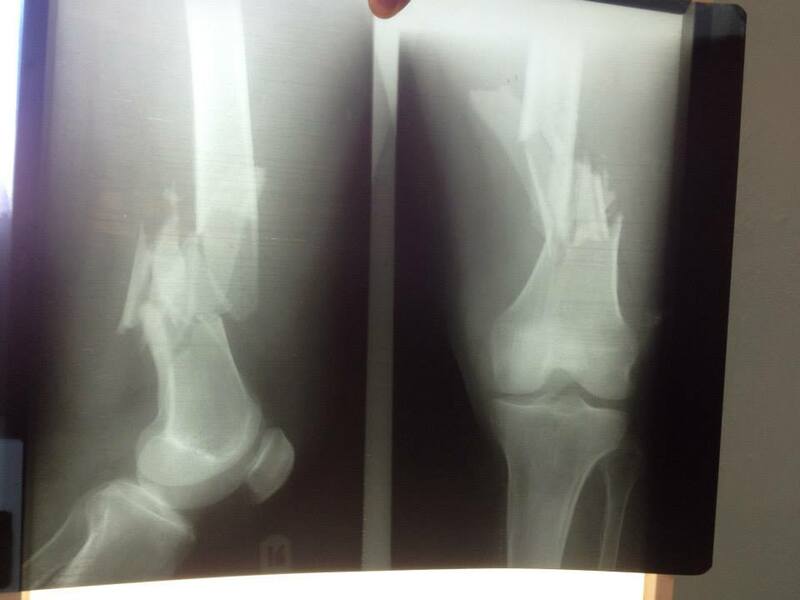 This entry was posted in Uncategorized and tagged Image Intensifier, radiation protection, radiographer, radiology. Bookmark the permalink. This is a great article, it sounds like a great experience. Hi Jeanette. I am the Honorary Secretary and Trustee of a small UK based charity (WRETF) that exists to provide educational resources to the international community of radiographers in developing countries. Our support is mainly in the form of textbooks both new and used and some recent journals. We have also introduced a travel bursary scheme to enable our colleagues to attend conferences or to make educational visits to other hospitals or to attend workshops. Please visit http://www.wretf.org for more information. maybe we can have a dialogue sometime. I am also a member of the BIR and a former radiographer.